Built by Daniel Bolognesi, this Reinhardt inspired Graphite Series 780T mod is clad in power armor and equipped with a replica Rocket Hammer, matching the “Earth Shattering” performance of the components inside. 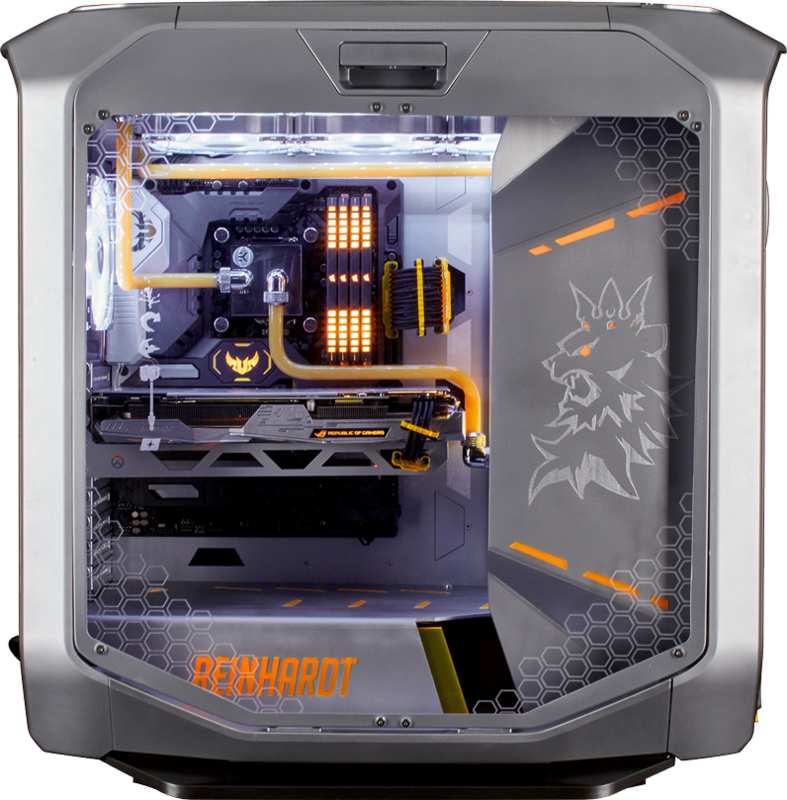 Housed by custom paneling throughout, the white HD RGB fans, orange VENGEANCE RGB modules and custom liquid cooling are as ready for battle as the armored crusader himself. Like the motherboard inside, this build is TUF as his Barrier Field.